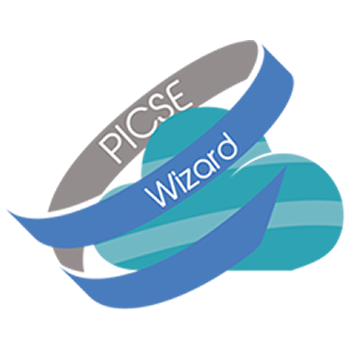 PICSE, Procurement Innovation for Cloud Services in Europe, is a project funded by the European Commission's Horizon 2020 programme to raise awareness of procurement of cloud services for the public sector. The project commenced on 1 October 2014 and ran for 18 months. The overarching objective of PICSE was to set up a European Procurers' Platform, the www.picse eu, capable of raising the level of understanding of the issues surrounding procurement of cloud services based on a set of procurement use cases from the science domain. The platform is a unique repository of information supporting the networking of procurers, promoting the cloud services market and helping procurers to understand the implication of ongoing work under the cloud computing strategy. 4. Lay the foundations for future joint procurements to support the hybrid cloud model. The growth in cloud services is exploding, but procurement contracting has not kept up the pace. As a result, most people required to write cloud contracts for their organization have encountered many issues. Procurers of public bodies, including research organisations, have the choice between purchasing and operating in house IT equipment, which requires capital investment and operations expertise, or procuring external cloud services from commercial providers on a pay-per-usage model. In most cases, public bodies move to the cloud because of budget restrictions, as proved by the study Cloud Infographic: Cloud Computing and The Public Sector. The opportunity for cloud service providers on the supply side is widely recognised and this can potentially have enormous impact on the delivery of services across the public sector. However, procurement in the public sector is bound by procedures and, like the contractual structures offered by many European IT companies, is not tailored to the dynamic, on-demand and elastic nature of cloud services. Procurement rules in some Member states can make it difficult to sell cloud solutions to public sector. There is therefore a need to focus on new ways of procuring cloud-based services.